I'm so excited to share today's post with you! 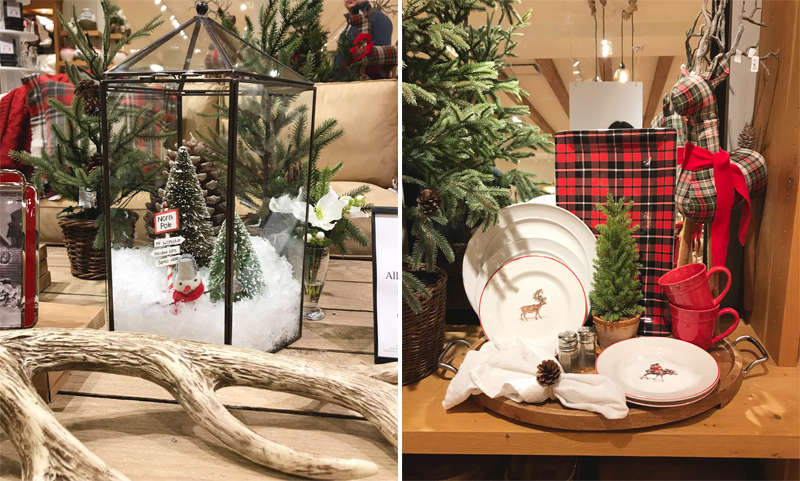 I've teamed up with my local mall, Westfield Annapolis, to share some fun holiday activities to do with the family all while getting your gift shopping done this holiday season. 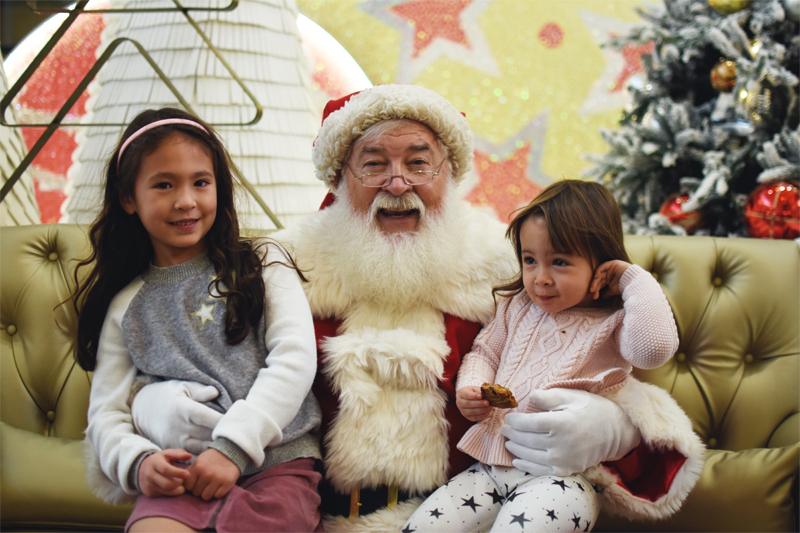 The other day we took the girls to Westfield Annapolis to get some Christmas shopping done and to meet Santa. Last year, we were so bad and didn't take the girls to meet him. Shame on us! But this year, we made it a point to make sure the girls meet him and that we get lots of pics. 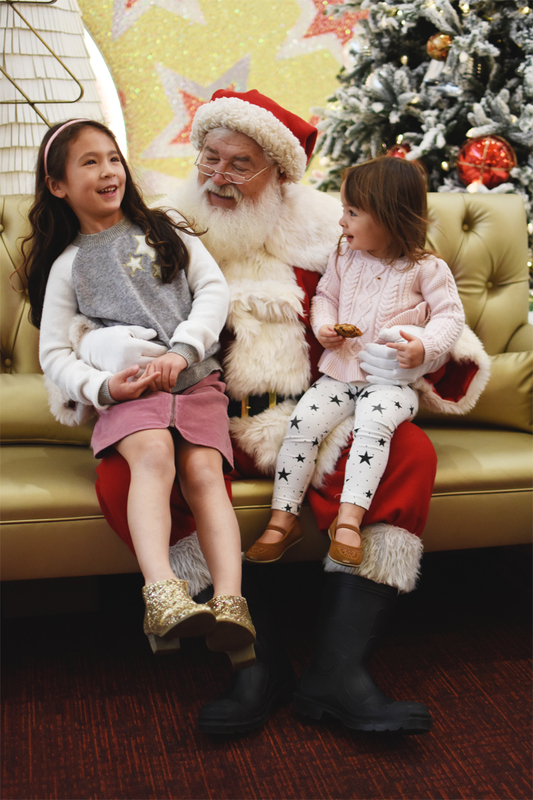 The Santa at Westfield Annapolis is just the sweetest. We arrived early on a weekday, so there was pretty much no line for us to wait in (highly recommend going during the week or get there early on the weekends). 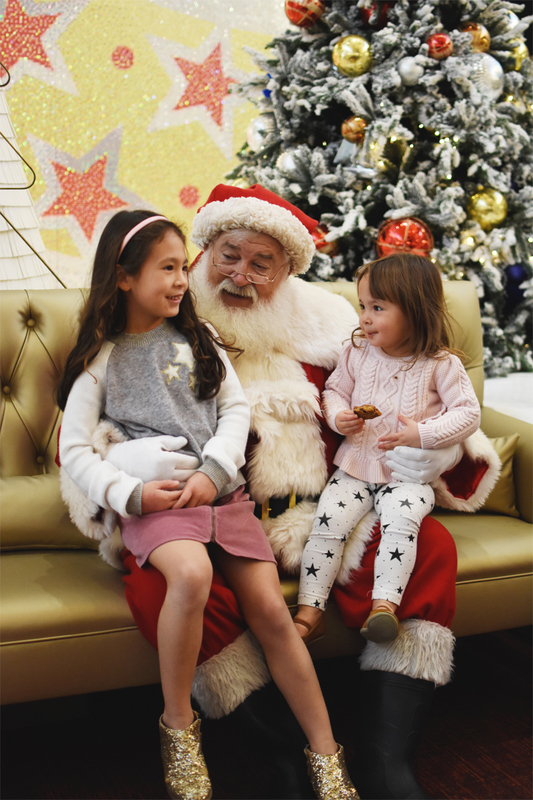 The girls were so excited to meet him, they had a wonderful time just seeing him in person and telling him their Christmas list. 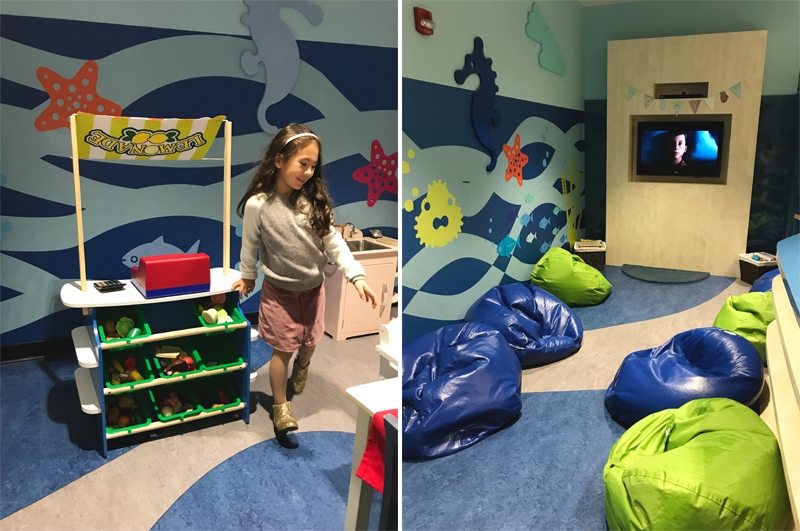 We also stopped in at the KidCare center to have Cora check it out for future shopping trips. 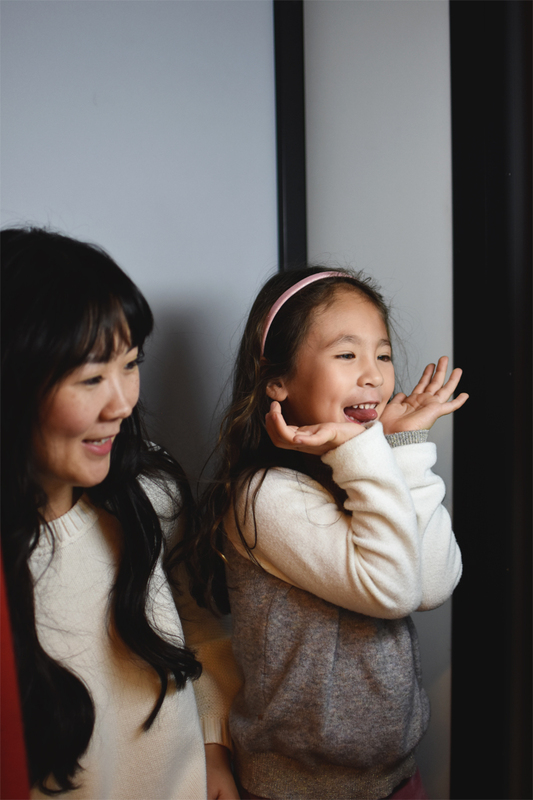 To say that she loved it is an understatement. 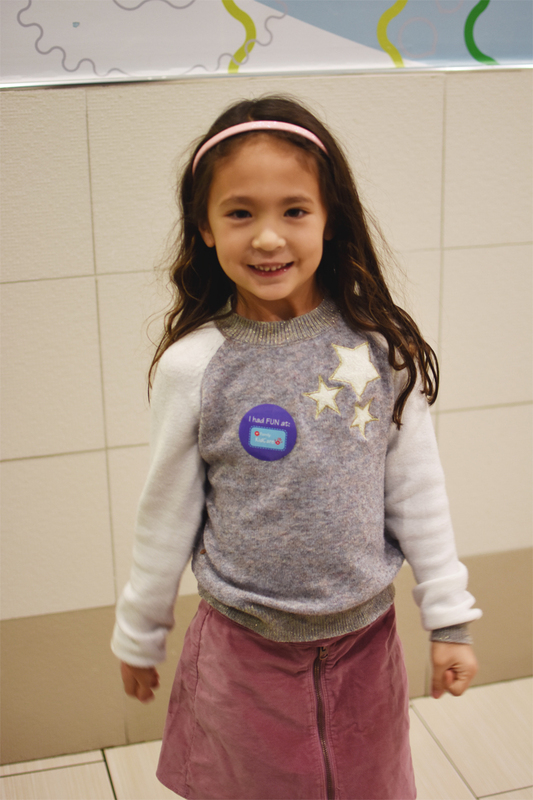 When we left, she said she wanted me to go shopping again so that she could hang out at the KidCare center. I'll definitely be taking her up on her offer asap! 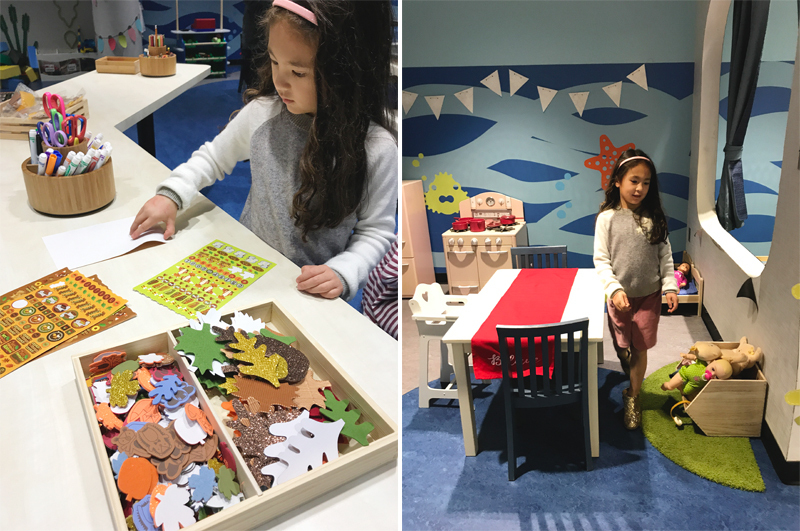 After checking out the KidCare center, we did a little shopping at some of my favorite places. 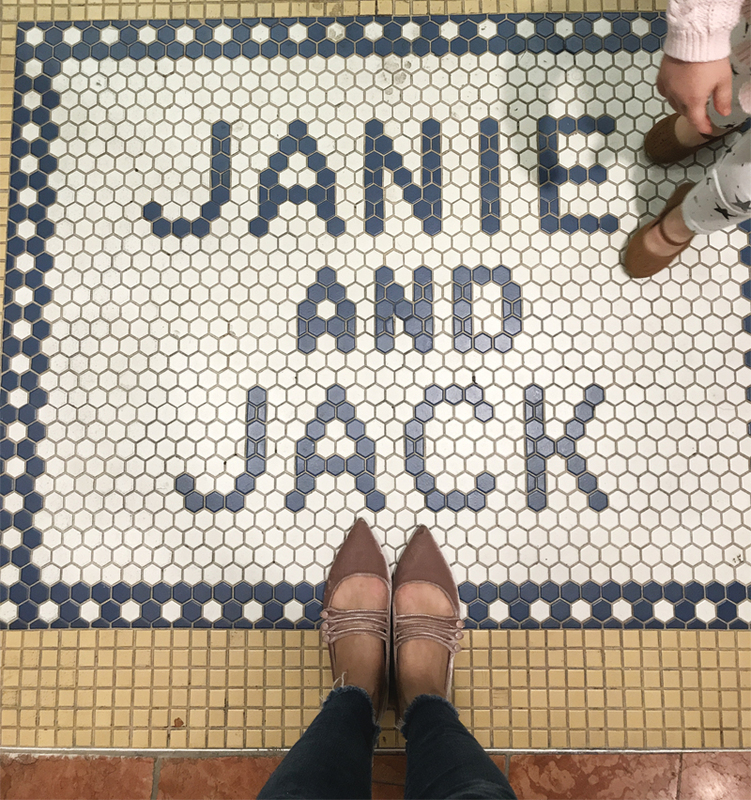 Follow along below with all of the photos we took! There's lots, so get cozy! 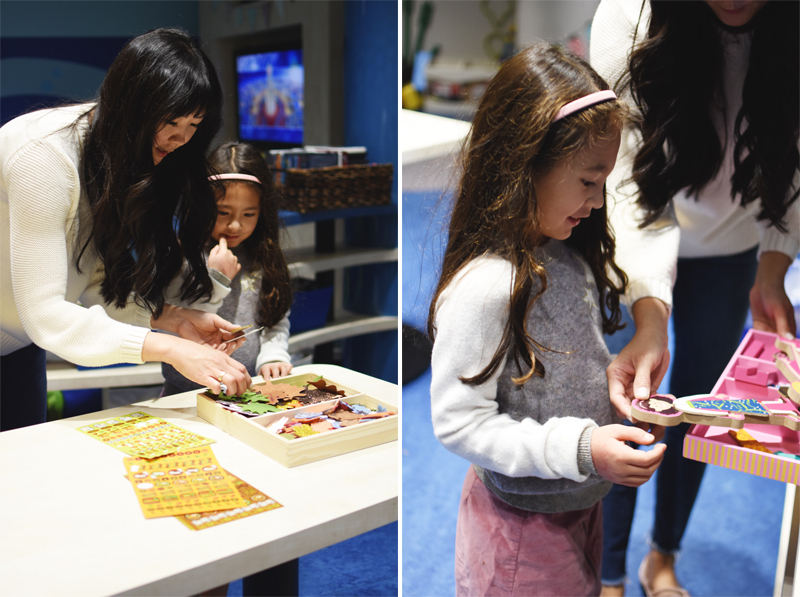 We're checking out the KidCare center for Cora and she was loving all of the crafts that they had. How awesome is their movie viewing area?? I want one like this in my house! Seriously so excited about the KidCare center, she wants to go back as soon as possible. 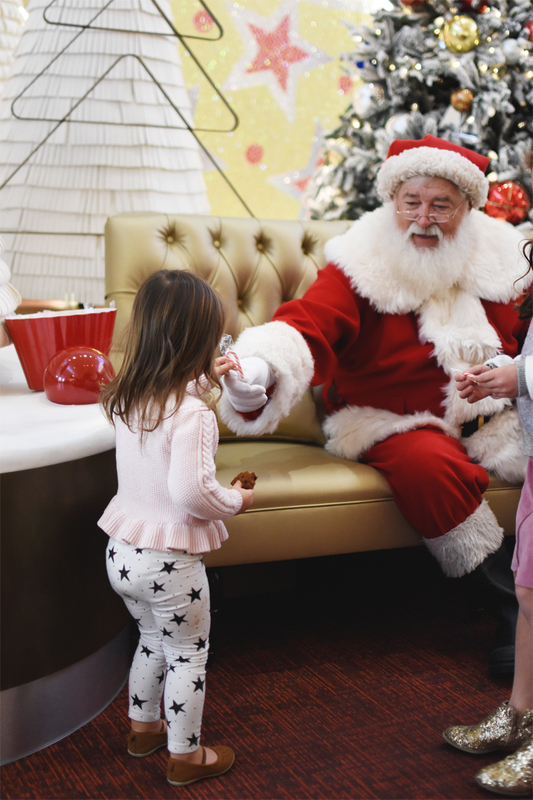 Our first holiday shopping stop is Janie and Jack to get the girls matching Christmas jammies! Trying to find the right ones, Cora's helping me find ones she likes. They love this store as much as I do. 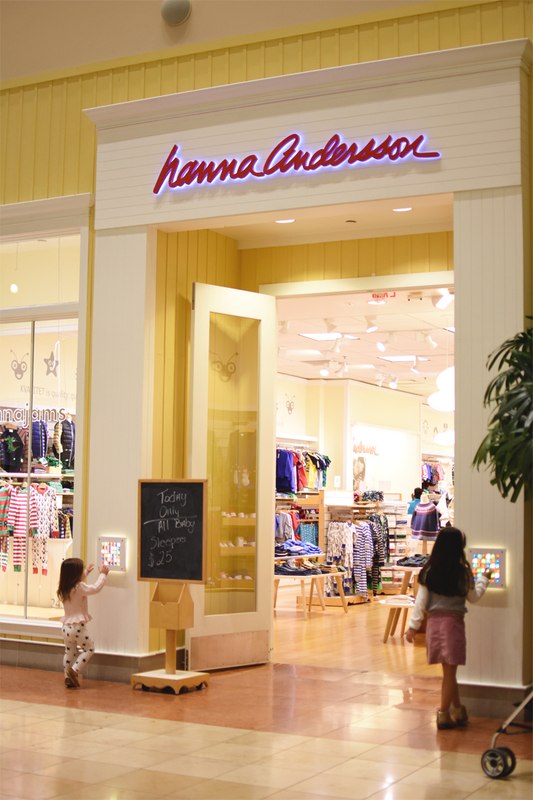 And because you can never have enough jammies, we stopped at Hanna Anderson to get some festive ones there too. 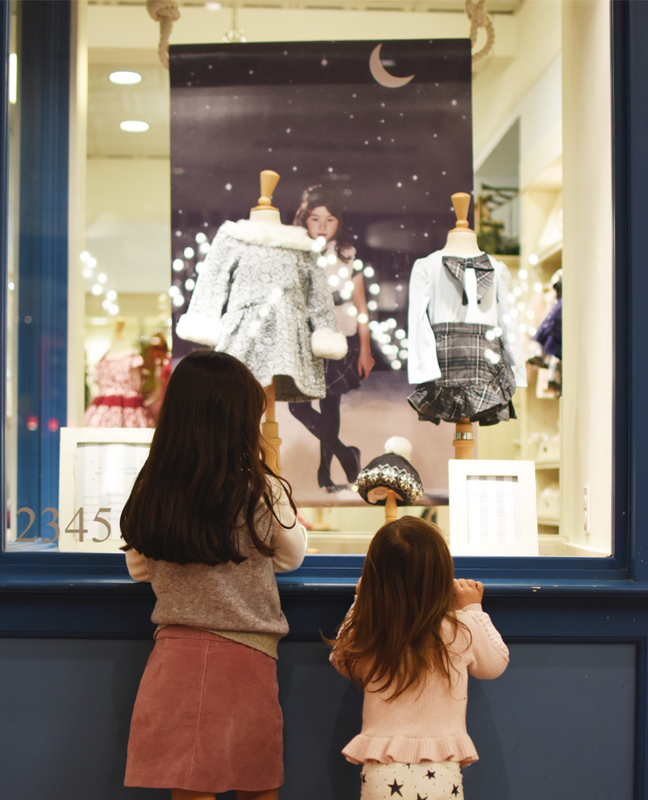 We've never done this with the girls, but thought it would be a fun pit-stop in between stores to get their sillies out. I think we may have found Cora's new favorite thing to do at the mall. 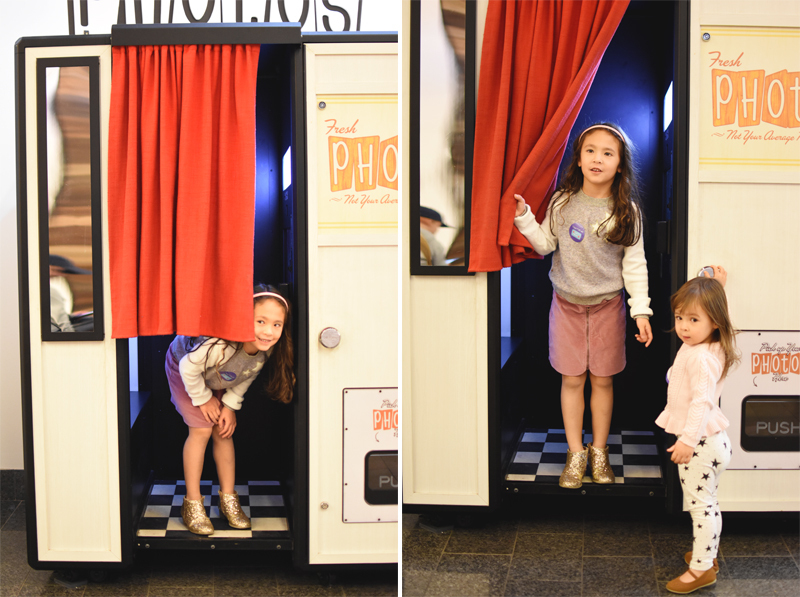 I don't know if I'm completely out of the loop, but this photo booth not only prints out the photos, but also sends it to you via text or email. Such a cool feature! Told you she had a bunch of sillies to get out. 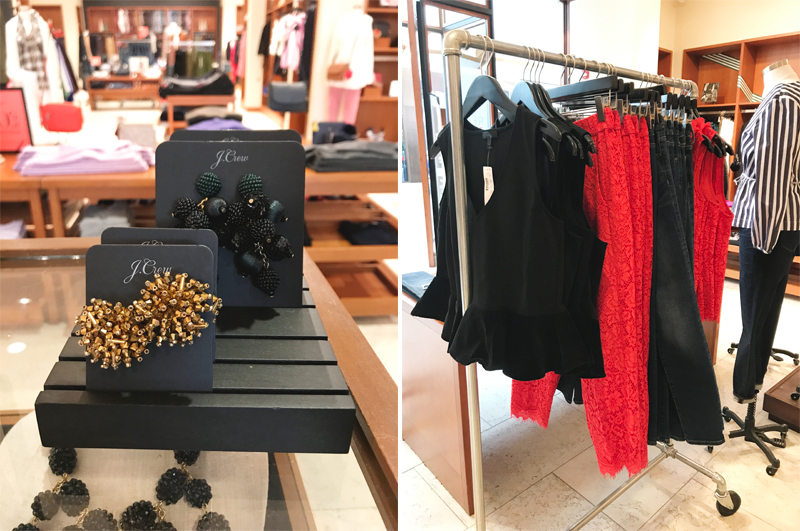 One of my absolute favorite places to shop at for me and the girls is ZARA. This happens to me a lot, I find one thing I love and then immediately get distracted with something equally amazing. Does this happen to anyone else?? And this is definitely what it looks like when I'm shopping with both girls. I've got Vivi in one arm while corralling Cora with the other, lol. 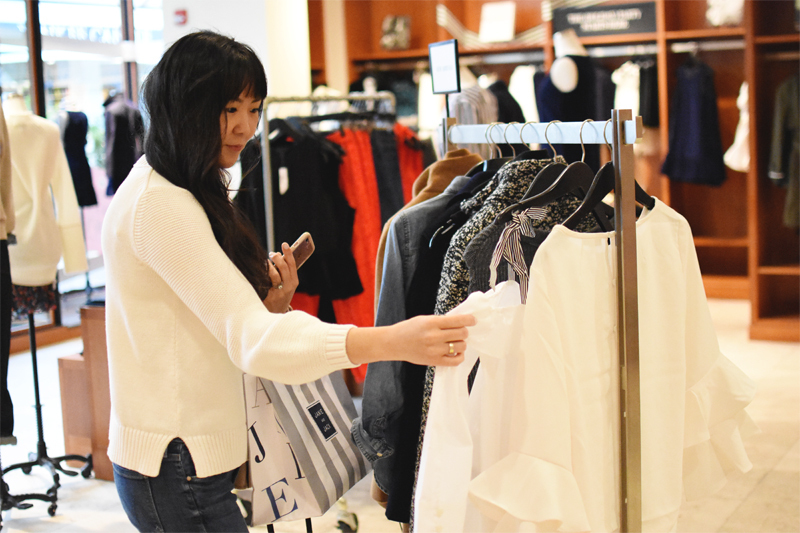 One of the great many services that Westfield Annapolis offers is hands free shopping. 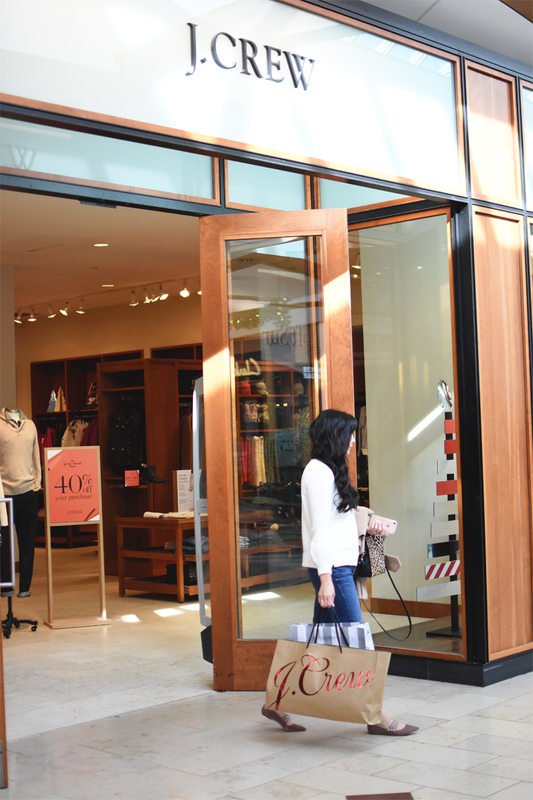 You can securely drop your shopping bags off at the Concierge so that you can shop more conveniently. 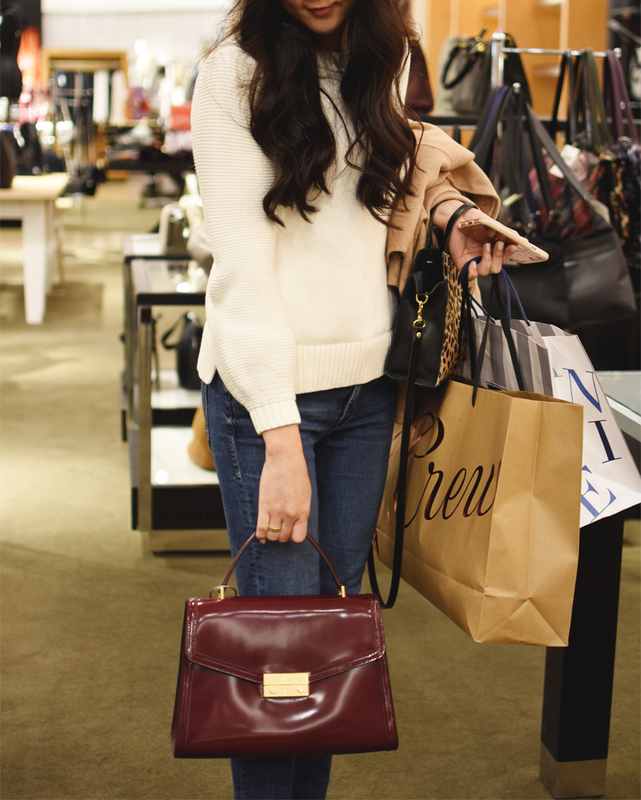 No more lugging around heavy shopping bags while you shop. 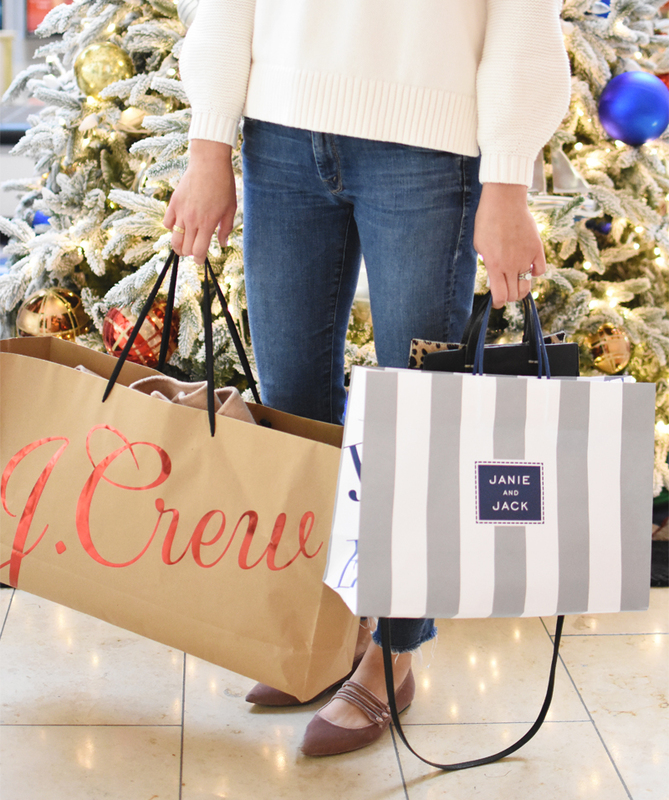 A major plus of shopping at Westfield Annapolis. 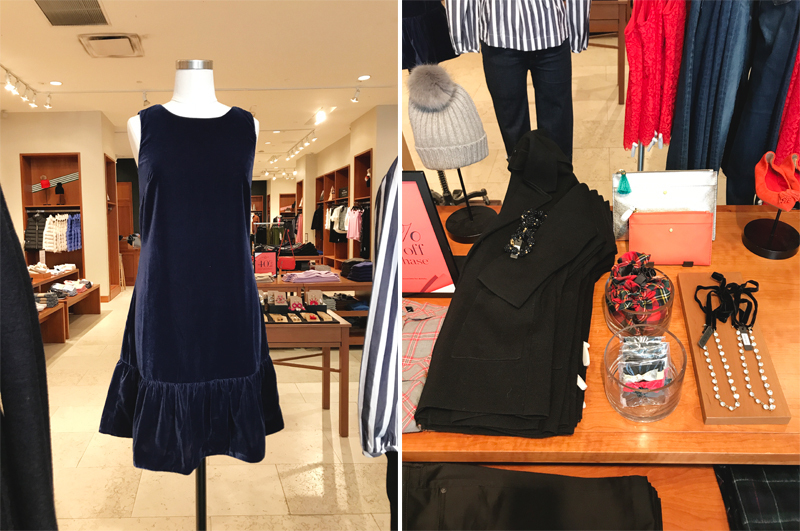 The Mini Boden pieces at Nordstrom are hands down my favorite things to get for my girls. They're so whimsical, unique but steeped in tradition, and of great quality. 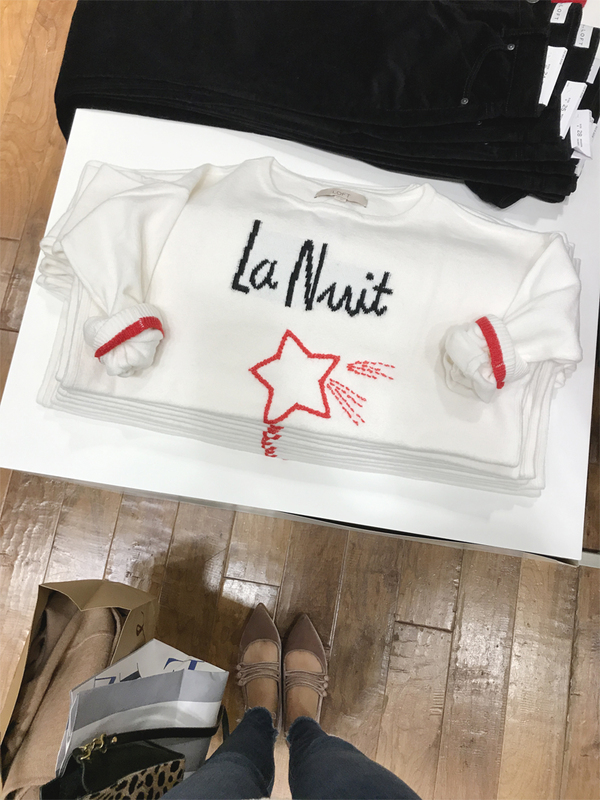 My kind of clothes for the kiddos. 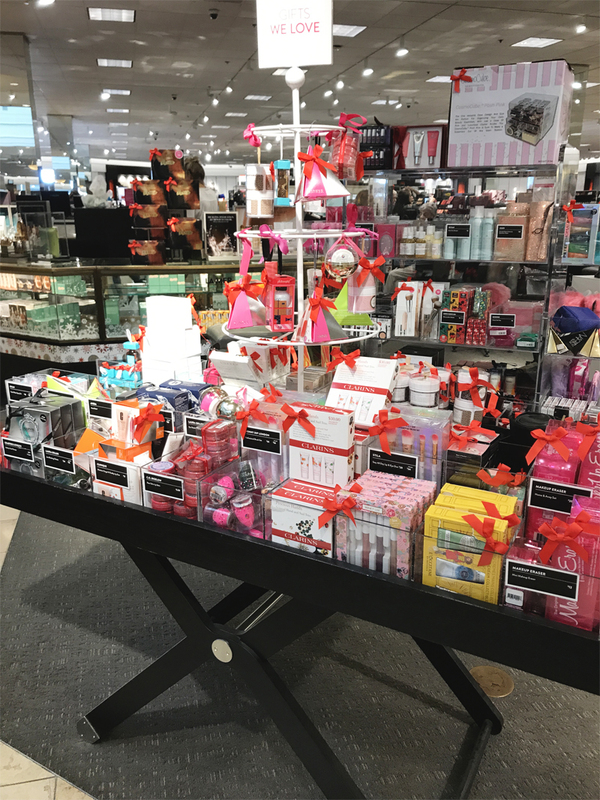 So many great beauty gift ideas at Nordstrom, all perfectly packaged for the holidays. I'll take this Tory Burch handbag, please. 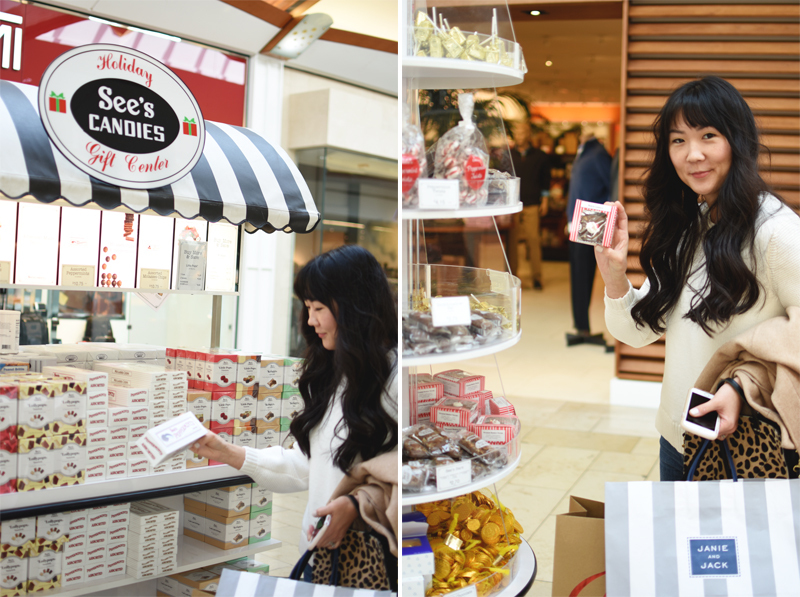 As soon as I see the See's Candies stand, I know the holidays are here. It just makes me so happy to see this, plus I love that they give out free samples! 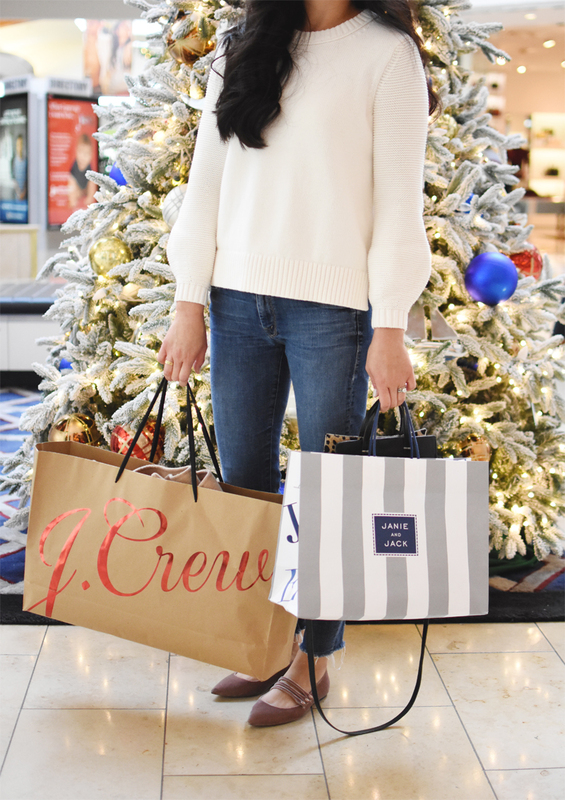 No trip to Westfield Annapolis is complete without a stop at J.Crew. 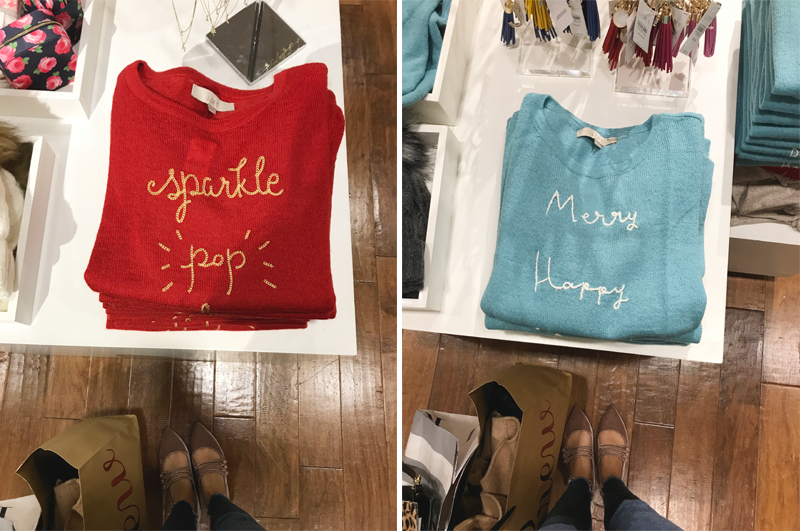 So many great gift ideas here and great holiday styles to wear. And you really can't beat the sales that they have around this time. Which brings me to say that I made out like a bandit in there. 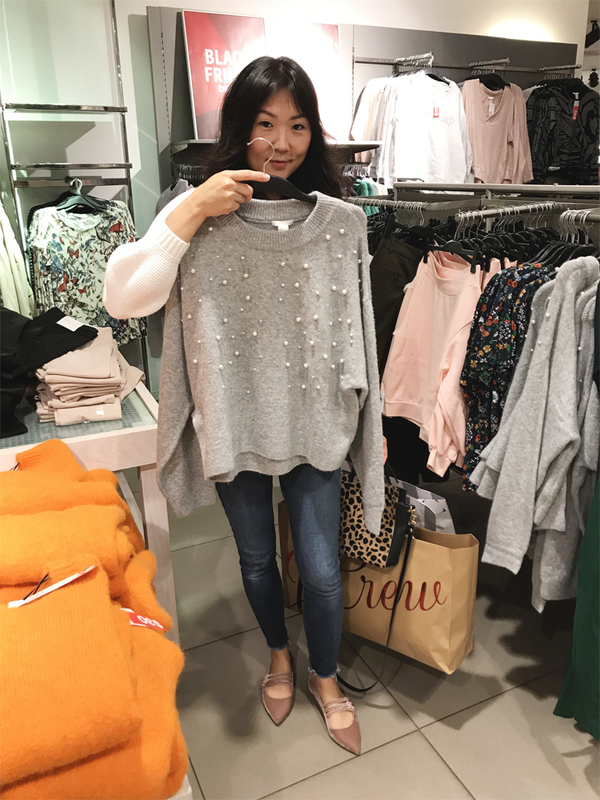 I have been loving so many pieces from Ann Taylor, including this sparkly number. 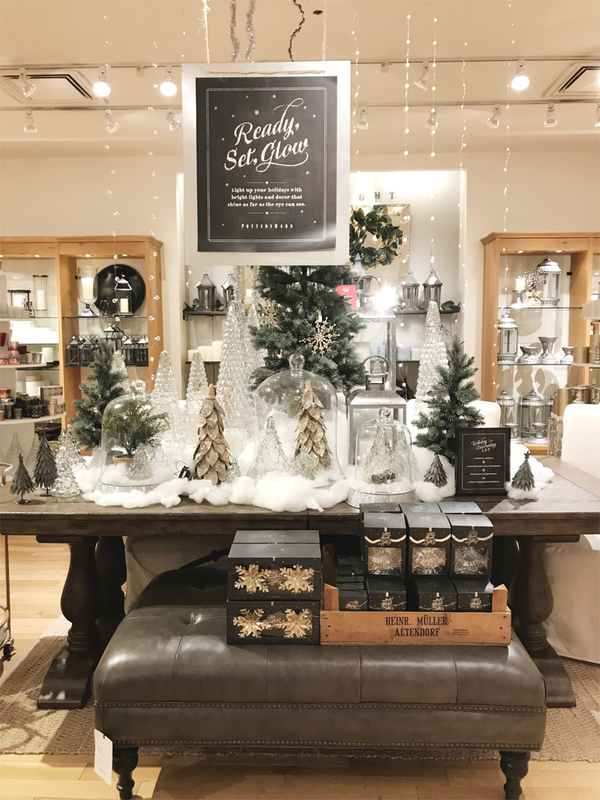 Pottery Barn has always been a go-to of mine for holiday decor and gift ideas for our family. I love going in there to get ideas for decorating our home, their displays are just the best. 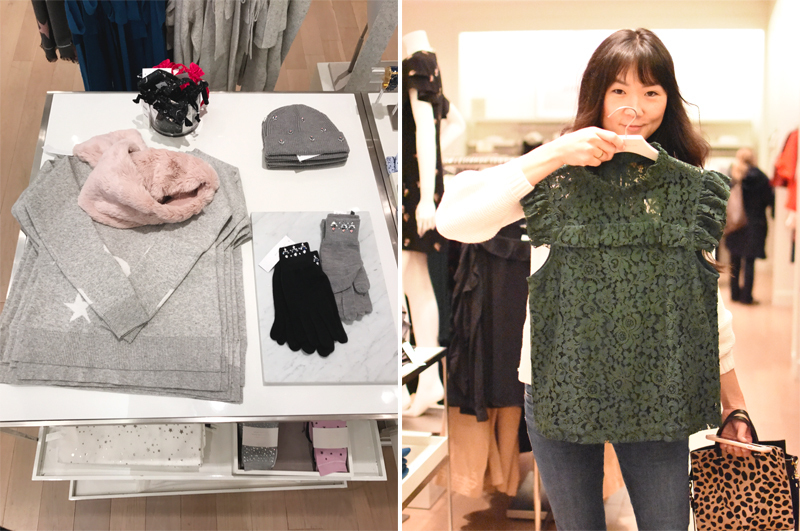 A brand that I find myself wearing almost daily is LOFT. 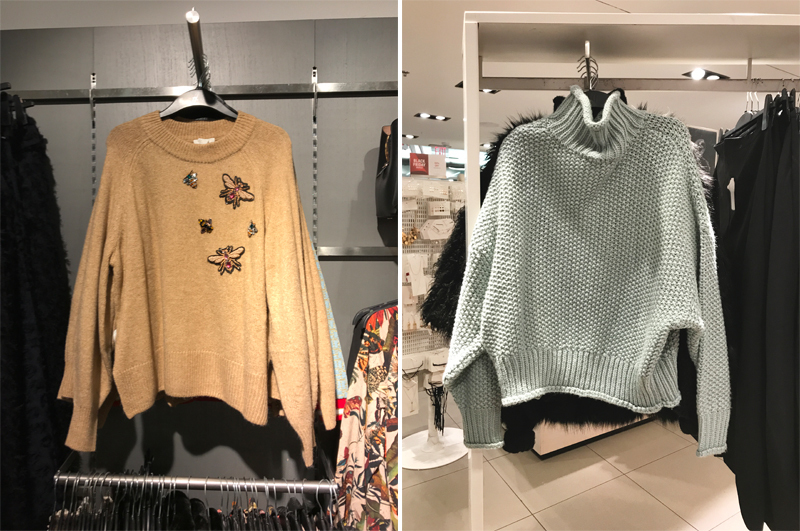 With their amazing sales that happen almost weekly, it's hard not to find something you'll love anytime you go in there. 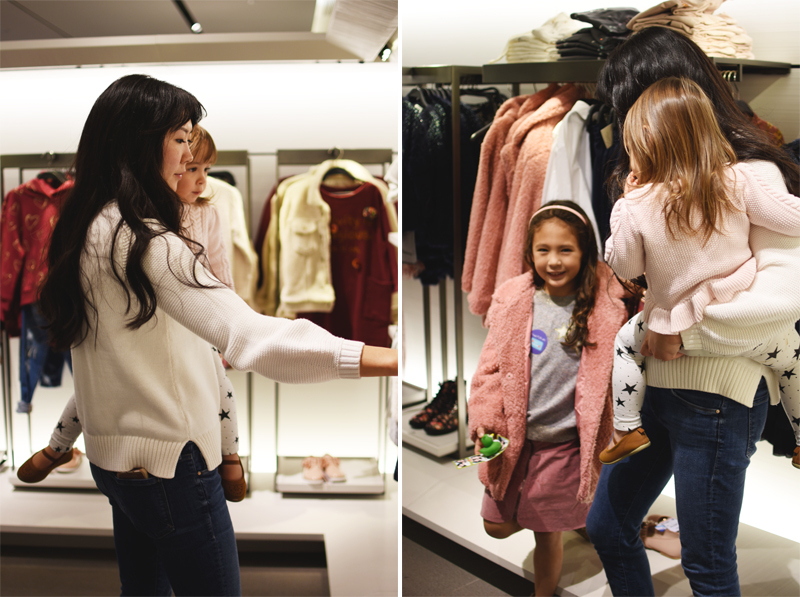 A quick drink break before heading into H&M, a great place to find trendier pieces for the whole family. 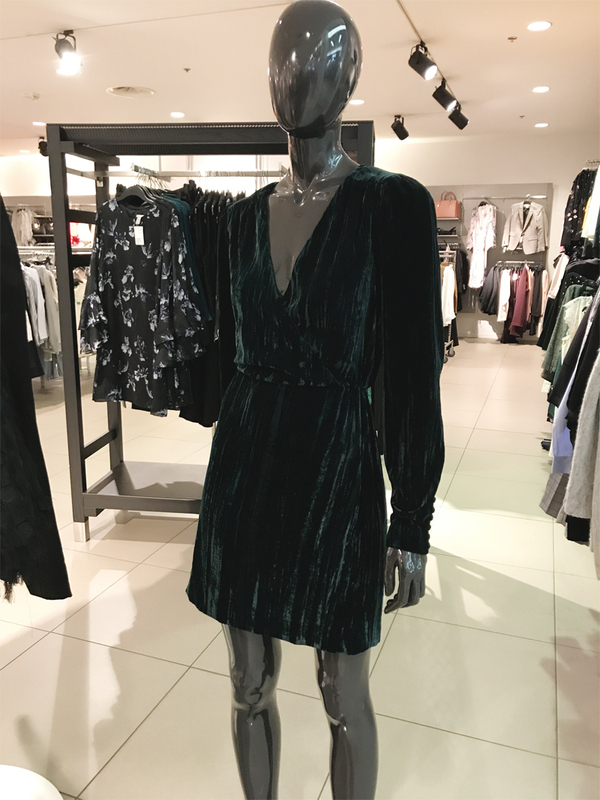 Finishing my shopping trip with this gorgeous velvet dress, so perfect for any holiday party. 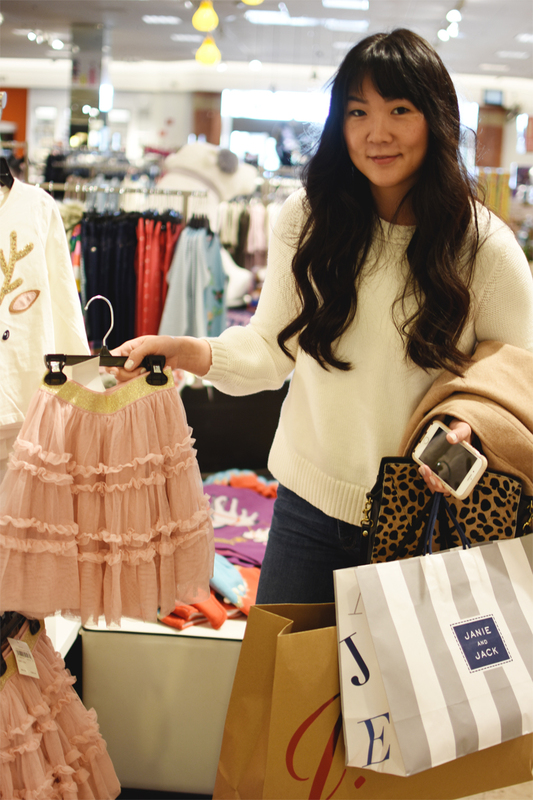 Hope you guys enjoyed following along on our holiday shopping trip to Westfield Annapolis! 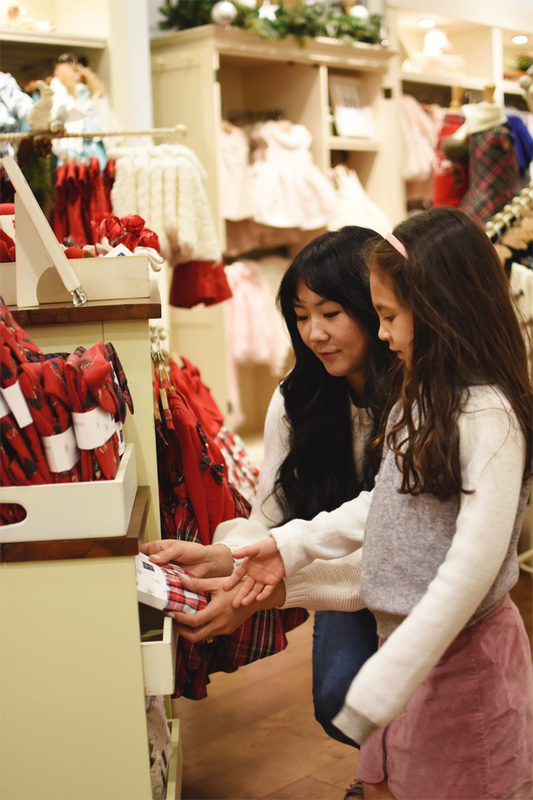 There are so many great stores and services there, make sure to stop by for all your holiday shopping needs. 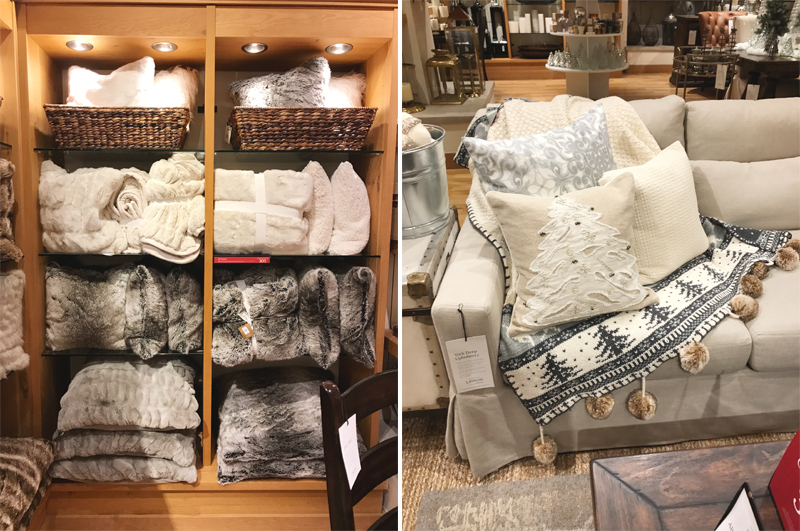 This post was in partnership with Westfield Annapolis, but all opinions are my own. 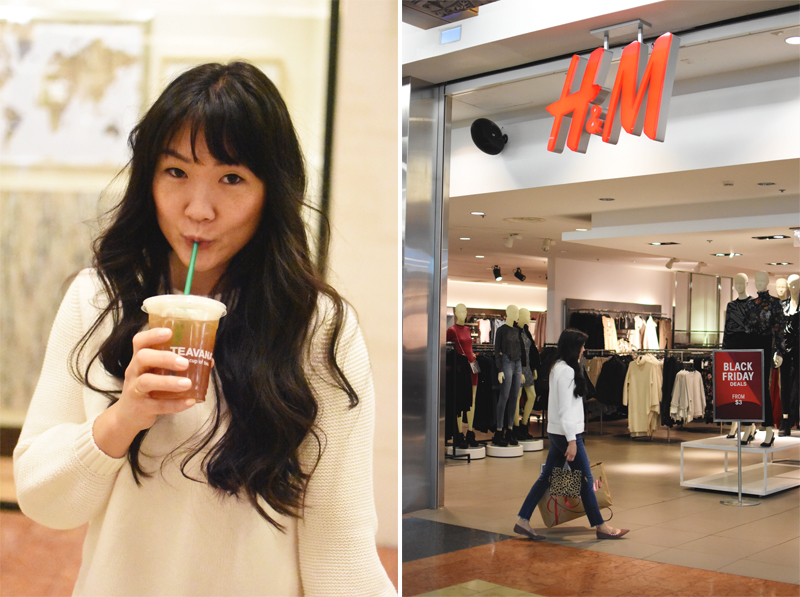 Thank you so much for supporting the brands that keep this blog going!